Existing cycle lanes and tracks across Dublin were overall ranked low as part of the draft Cycle Network Plan for the Greater Dublin Area. The report detailing the plan highlights general issues with narrowness and loss of priority, and the access problems caused on greenways by barriers. The current network of cycle lanes and paths were rated for their quality of service based on five criteria: surface condition; width; frequency of conflicts (ie due to parking and driveways etc); junction delay; and comfort covering proximity to other traffic and the associated sense of safety. For context: The upgraded network has a minimum quality of service level B — read more here. The plan says that typically the current cycle lanes in the Dublin City area score C or D and that this low quality is due to a lack of width for cyclists and the discomfort caused by large volumes of traffic. Similarly in the Dun Laoghaire-Rathdown area it says cycling facilities on routes leading to Dublin City Centre were mostly provided as part of Quality Bus Corridor projects and the quality generally “is low at C”. It says elsewhere that other facilities in the Dun Laoghaire-Rathdown area range generally from a low of D on older roads such as Leopardstown Road East to a high of B on newer roads such as Murphystown Way. 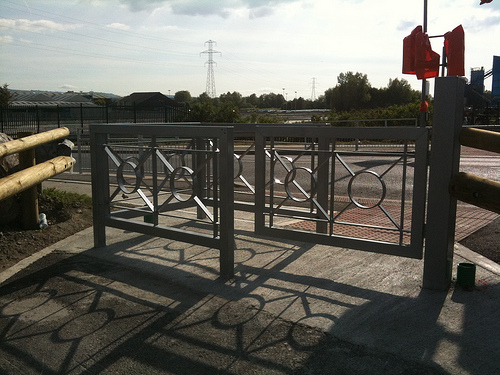 Upgrades are suggested for cycle route crossing of the M50 motorway in a number of areas. On greenways, it says barriers such as kissing gates are a “pervasive problem across” the Dublin City and the South Dublin County areas, and it notes how fewer barriers in the Dun Laoghaire-Rathdown area helps creates a high-quality off-road routes. It highlights the Grand Canal Greenway west of Inchicore (Dublin City and South Dublin) and the recently opened River Tolka Greenway (Dublin City) as having problems with barriers. 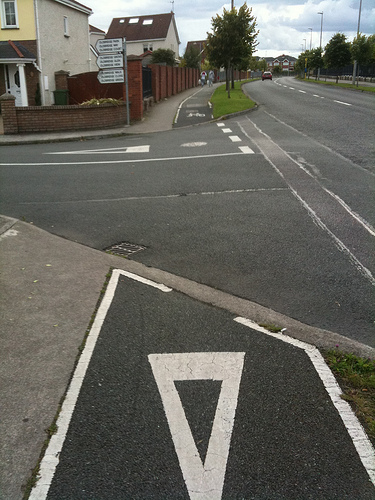 Cycling infrastructure in the South Dublin County Council area is rated generally between D to B, however the report says that “Some of the better quality cycle tracks are in newly developing areas and have a very low level of usage.” In notes the problem of widths that “makes overtaking difficult” and “more importantly” the loss of priority at side roads. 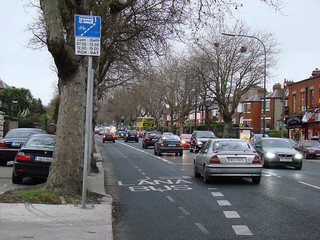 In the Fingal County Council area, one the main routes, the Swords Road, is ranked as a D because of the narrowness and lack of segregation from high-speed traffic. While in Blanchardstown it notes how the existing cycle track network is quite extensive, “in most cases these cycling facilities score quite poorly” due to loss of priority at junctions. However, it suggests that would be “straightforward” to upgrade junctions and lift the quality of service “for relatively small cost”. It reported “fragmented”, limited or no networks in towns in Kildare and Meath. Great to see the NTA taking on the local authorities RE: the kissing gates. There are a couple of these on a route close by to where I live (along the Dodder). Cycling with my son in a bike chair, to get through these I had to stop, dismount, take my son out of the chair, carry him though the gate, leave him sitting on the ground, go back through the gate, grab the bike and flip it onto its back wheel, struggle through the gate with it, put my son back in and finally remount and take off again. Times that process by three gates. It was the first and last time we cycled the route. Cliff, these are a stupid design. Just another example of the anti-cycling mind set in our (unelected) County Councils. @ John Murphy: It isn’t anti-cycling, its designed to make it difficult to get a motor bike or a moped onto the canal towpath. Its badly implemented alright but there’s no anti-cycling conspiracy at work there. When do Any of the councils SWEEP the cycle paths. Along the grand canal from ballyfermot to newcastle it 7s littered with broken glass.